Production of wheat, barley corn and rye in Ukraine in MY 2015/16 are forecast to decrease mainly due to lower projected yields as well as decreased production areas for some of these crops. A significant increase of input costs for agricultural producers is expected to lead to lower input use, thus negatively affecting yields and output. Ending stocks for major grains are expected to remain at higher levels while exports are expected to increase for wheat and barley in MY 2014/15. Domestic consumption of feed grains in the new season would depend on economic situation in the country. Total production volume for wheat and corn in MY 2014/15 remained roughly on the level of the previous season. At the same time exports were lower than expected as the result of decreasing domestic prices and this resulted in additional increase of stocks for both of these crops into the current year. Wheat production in MY 2015/16 is forecast at 23 Million Metric Tons (MMT), a decrease of about 4 percent based on increased winter crop area and lower yields compared to the previous season. Exports of wheat in the new season are anticipated to remain slightly lower, about 11 MMT compared to the previous estimate of 11.3 MMT. Corn production in MY 2015/16 is forecast at 7 percent below the previous season mainly due to lower area of production. Lower domestic prices and high stocks are forcing producers to cut volumes of production. Corn exports in the new season are expected at a level of 18 MMT. Trade with the EU is expected to remain strong while East and Asia destinations would retain their positions. Barley production is expected to remain 12 percent lower compared to the previous season as the result of the decreased production areas with exports following the trend. The Middle East would remain the major buyer. Rye production is projected to decline in MY 2015/16 leading to lower domestic consumption and exports. The Ukrainian currency devaluation in recent months resulted in greater commodity price fluctuations in the domestic market and some reluctance to sell that was observed at the time of this reports writing. An increase in input costs for agricultural producers that is already occurring is expected to translate into lower use or application of cheaper (which in most cases means less effective) fertilizer as well as plant protection inputs and seeds. In addition, relatively lower world agricultural commodity market prices in the current season cut down on Ukrainian producer profits that also stimulate them to reduce input expenses for the new harvest and to hold off on technology improvements that require large upfront expenditures. An almost twofold local currency devaluation since the beginning of last year has had an impact on production costs. According to producer reports, while in the past five years average increase in production costs for some was about ten percent annually (mainly improvements in technology and seed quality) in 2015 estimated costs surged 1.7 times compared to the previous year forcing producers to sell their stocks as well as look for external sources of financing. Ukraine is expected to remain loyal to its trade partners in the current and new trade seasons while the industry and the Government of Ukraine (GoU) try to find more new ways of make agricultural business more profitable and attractive to investment. Ukraine's present political and economic crisis has led to a significant devaluation in the local currency (Hryvna – UAH) and a number of trade-related problems associated the devaluation's inflationary effect. The National Bank of Ukraine (NBU) for years maintained monetary policies aimed at maintaining stable exchange rates. The target currency for this approach was the U.S. dollar, despite the fact that trade with U.S. was not significant compared to trade with the Russian Federation or the European Union. The policy of fixed exchange rate limits trade activity. Trade imbalances are drying up country's foreign currency reserves, which may lead to periodical currency crises that outweigh the positive impact of a stable exchange rate. Significant political and economic shocks undermined UAH stability in 2014 resulting in abrupt devaluation. Total currency devaluation in 2014 reached almost 100 percent-- undermining imports and boosting exports. Another surge came in February 2015, further devaluating the national currency by almost 50 percent. However, the positive gains made by exporters from the devaluation may be limited, as the devaluation also increased the value of essential agricultural inputs, most of which are imported, for the 2015/16 MY crop that could also influence production more significantly than in the previous marketing year. Foreign currency exchange rate fluctuations led to a variety of problems for chemical and seed importers. Many of them reported delays (over a month) when trying to procure foreign currency, and these complicated purchasing procedures do not allow for any exchange rate planning by the trade. Administrative measures implemented by the NBU intended to restrict access for foreign currency purchases required to import products. Input use for the MY2015/16 crop is expected to be lower than usual, but a significant drop is not expected for oilseeds as they remain the most profitable and reliable of all cash crops for farmers. Another factor, which might influence the cost of inputs as well as volumes of their consumption by farmers, are the amendments to the Tax Code of Ukraine introduced by the Law of Ukraine "On Measures for Stabilization of Balance of Payments of Ukraine in Accordance with Article XII of General Agreement on Tariffs and Trade of Year 1994" on December 29, 2014. The abovementioned law envisages increases of ad valorem for HS Groups 1-24 by 10 percent and HS Groups 25-97 by 5 percent. These amendments shall give further impetus already inflated prices (because of the devaluation) for the whole spectrum of seed and agrochemical products, machinery and machinery parts used in plant production (except for fuels which are considered critically important imports and are exempt from the increase in tariff rates) and considered controversial by representatives of agribusiness. At the time this report was drafted, the Government of Ukraine indicated that it would lower these tariffs; however, no action has actually been taken to date. In 2015 wheat production is expected at about 23 MMT – a slight decrease from the previous year's harvest mainly due to expected yields somewhat below last season's, however production area is expected to be 13 percent larger that would allow to keep up volumes of production. Due to climatic conditions, the terms of planting for winter crops have shifted forward closer to winter by around two weeks for major part of Ukraine and by one month for its Western regions. September featured low precipitation rates that resulted in around 60 percent of areas designated for planting winter crops had insufficient amount of soil moisture during the optimal period for planting. In late October precipitation occurred predominantly in Southern regions and did not significantly influence the level of soil moisture in general. As the result, plants were unable to develop strong roots on the significant areas and tillers have not emerged in some fields by the end of the vegetation season. Winter featured mild temperatures that created no significant threats to crops. According to the official Ukrainian Hydrometcenter reports, only about 12-15 percent of the winter crops were in bad condition with expected losses of 8 percent. As the spring season has arrived, high levels of precipitation in March and April allowed replenishing soil moisture and provided favorable growing conditions for winter crops (several tillers and strong roots) for majority of areas excluding Southern, Eastern, Rivne, Vinnytsia, Kirovohrad, Chernihiv, Sumy, Dnipropetrovsk regions where soil moisture contents were somewhat lower compared to historically average. According to Ukraine's Hydrometcenter reports in late May 2015 topsoil moisture for winter grain crops was optimal in the Western, Northern, Vinnytsia regions as well as individual fields in Poltava, Kharkov, Lugansk, Donetsk, Kirovohrad, Dnipropetrovsk and Mykolaiv regions. In most areas of Chernihiv, Kyiv, Kherson, Zaporozhye, as well as on separate plots in Odessa, Kirovograd, Cherkassy, Poltava, Sumy and Kharkiv regions topsoil moisture reserves were satisfactory. In many areas of Zaporozhye as well as on separate fields in Odessa, Cherkasy, Mykolaiv, Kherson, Dnipropetrovsk and Donetsk regions it was unsatisfactory. At the time of this report writing, the soil moisture was somewhat lower compared to the last year's levels as well as farmers we planning on cutting amounts of fertilizer application due to unfavorable macroeconomic conditions. The high level of wheat production in MY 2014/15 and a good share of milling wheat along with higher export prices exceeding ones offered by domestic miller prices stimulated a decrease of wheat flour production for domestic consumption and an increase in wheat exports.The domestic market is well supplied by food grade wheat for the current season. However, bread production has been decreasing in Ukraine over the recent years along with the population decline. In addition, a minor increase in consumer incomes stimulated one of the recent trends in society – switching away from purchasing 'social' types of bread in favor of premium bakery products and home bread making. While large, mostly state, bread making enterprises have been reducing production quantities, various private specialty bread producers have been opening up small stores and delivering to regular grocery stores in larger cities catering to the changing tastes of consumers where majority of income increases occurred. Wheat exports in Ukraine in MY 2014/15 have been exceeding that of the previous season by around 20 percent despite the decrease in wheat production by about 8 percent. Such development was supported by high stocks at the beginning of the market year piled up from good harvest of the previous season as well as more attractive export prices due to sharp exchange rate fluctuations against US Dollar. In addition, more transparent and non-restrictive export regulations were stimulating the normal pace of trade this season. Total MY 2014/15 exports of wheat are expected to reach over 11.3 MMT. The majority of shipments as usual were executed at the start of the season. The larger spread between domestic and fob (Black Sea Port) prices was mainly due to increased delivery costs that resulted from railway tariff increase by over 15 percent in 2014 and further growth by another 30 percent since February 2015 as the result of surging fuel and energy costs in Ukraine. The railway shipped over 25MMT of grains in 2014, which makes it the most important inland logistical channel for shipping grain from farmers to ports. In MY 2014/15 the domestic wheat market was influenced by a reduction in world prices together with increased volumes of domestic production and fluctuation of exchange rate between Ukrainian Hryvnia against US Dollar making wheat exports on the international markets more attractive. 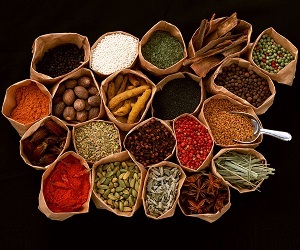 Thus, domestic prices are expected to fluctuate until the end of the current season. In the new season prices are expected to pick up to reflect the world market trends, while their stability would depend on macroeconomic situation in the country. In MY 2015/16 Ukraine is projected to export 11 MMT, slightly less than is expected in the current season, mainly due to lower projected levels of production. In MY 2014/15 to date, Egypt remained the top buyer, just like in the previous seasons followed by Spain, Pakistan, South Korea, Bangladesh, Thailand and Morocco. While in MY 2013/14 Ukraine sold more milling wheat and the buyers came from various destinations like South Africa, Thailand, Kenya, Bangladesh (once again among the top ten buyers), Israel, Indonesia, Libya and even Japan. Export destinations for MY 2015/16 would depend on the type of wheat sold. At this point it is too early to say whether Ukraine would produce more milling or more feed wheat in summer 2015 as this highly depends on the growing season conditions. Egypt is traditionally expected to remain at the top of the buyers list. Imports of wheat in Ukraine are virtually non-existent and for the MY 2013/14 totaled a little over 1.6 thousand metric tons. The country produces enough wheat to satisfy its domestic consumption needs. The only imports that do come in are either high protein wheat varieties for production of premium pasta products or seeds of some special wheat varieties for breeding purposes in Ukraine. In MY 2014/15 Ukraine's monthly wheat stocks were higher than in previous season due to larger production volumes in summer 2014. However, the pace of exports pace is slower-than-expected compared to the previous seasons due to decreasing world prices and we could expect higher ending stocks at the closure of the current season. In the new marketing year (MY 2015/16), barley production is forecasted to decrease to a level of 6.3 MMT that is 30 percent below the MY 2014/15 season. This is the result of the decreased production areas by farmers as well as expected lower yields compared to the MY 2014/15 mainly due to the less favorable weather conditions this spring compared to the previous season as well as expected decreased volumes of fertilizer application. Spring barley planting has been completed in Ukraine and the areas are forecasted to be 12 percent less compared to the previous season. Due to the delayed in planting of spring crops and fast approaching timings for planting of traditional commercial crops like corn and soybeans, producers have cut barley plantings in their favor. In MY 2015/16 barley consumption in Ukraine is expected to remain at the level of the MY 2014/15 season. Barley consumption in Ukraine is gradually decreasing following the trend for decreased volumes of production of this crop for the last few years. In the past when producers were low on cash they dedicating more areas to this low maintenance crop that still sold well to Middle East destinations and was used more by domestic animal producers. However, in recent years, producer preferences have shifted towards production of corn. This trend was mostly stimulated by the rapidly expanding industrial poultry production in Ukraine and some development in the industrial pork production in the country. These industries use more corn as animal feed while leaving more barley for export market. Barley exports in MY 2014/15 are expected to surpass the figures of the previous season by almost 90 percent mainly due to significant exchange rate fluctuations making sale of crops to international markets more profitable compared to the domestic market with the purpose of accumulating financial resources for spring planting. In MY2015/16 exports are so far anticipated to shrink by over 40 percent compared to MY 2014/15 following the trend for projected 30 percent decrease of volumes of production. Saudi Arabia remained the top buyer of Ukrainian barley in MY 2013/14 purchasing over 65 percent of the available export quantities. In MY 2014/15 Saudi Arabia is expected to remain the largest buyer as well, while figures for July-December 2014 indicate strong demand from Turkey as well as Iran while the other buyers like Libya, Israel and Kuwait have decreased their purchases for this period. This commodity is predominantly shipped by sea that allows utilizing the comparative advantage of the delivery costs from the Black Sea ports. Barley stocks at the start of the season were higher than in the previous season mainly due to modest export volumes in MY2013/14. However, within first three months after the start of the MY 2014/15 exports surged due to the devaluation of the national currency that resulted in rapid declining stocks to the usual levels by the end of the marketing year. In the MY 2015/16 stocks are expected to be slightly lower than usual and follow the similar trend that was observed in MY2013/14. Corn production in Ukraine in MY 2015/16 is expected to remain at the level of around 26 MMT, just 7 percent below the previous harvest figure. While yields are expected to remain similar to the previous season the decrease in production in the new season is anticipated mainly because of projected lower areas of production following decreasing domestic prices for this drop. The increase in input costs for agricultural producers that is already occurring is expected to translate into lower use or application of cheaper (which in most cases means less effective) fertilizer and to some extend plant protection means and seeds. In addition, relatively decreasing world agricultural commodity market prices during MY 2014/15 cut down on Ukrainian producers' profits that would also stimulate them to reduce input expenses for the new harvest and to hold off on technology improvements that require large upfront expenditures. A good share of fertilizer components (for production of ready to use fertilizers in the local facilities) and plant protection products are imported to Ukraine from China, Russia, Belorussia, and other countries. In addition, energy costs in Ukraine have gone up this season that affects the local input production as well. Most large agricultural enterprises and those that usually plan in advance for the season have purchased or signed purchase contracts with locked-in price for fertilizer, fuel, and seeds that are needed for their spring planting before the major changes in the currency exchange rate started occurring in Ukraine. However, there are some who did not have enough financial reserves to set aside in advance that will now have to be very creative in allocating funds for their spring planting expenses, which might translate into possible decreased crop productivity as the end of the season in case farmers would opt for radical cost-saving measures. Seed quality is another important fact in corn production. In the last five years Ukraine has expanded imports of good quality hybrid corn seeds from Hungary, Romania, France and the U.S., and other countries alike. At the same time local corn seed production capacity has been developing as well. According to seed sellers, at present over half of the market is imported corn hybrids. In view of the of the increasing input costs and devolving local currency this season we have seen significant fall in volumes of imported seeds, bearing evidence that producers turning to using cheaper domestically produced and less expensive corn seeds. Thus, in MY2015/16 yields are expected to remain on the same level as in the current season. The weather is always a risk factor in agriculture. Major corn planting in Ukraine usually starts in April. This year it is not an exception. Thanks to the high precipitation rates early this spring there is generally sufficient amount of soil moisture in the ground, however significant rainfall resulted in slight delays in spring planting of all major crops. At the time of this report writing, corn growth stages begin on early plantings and crops are generally in the good condition. For the previous seasons demand for corn from the local feed industry was also running high due to poultry and animal production expansion in the country but in the current season we see the stabilization of volumes of compound feed production on the level of previous season. In MY2015/16 domestic corn consumption would largely depend on the set of macroeconomic factors that would be stimulating or on the contrary suppressed demand from population for products of animal origin (poultry, swine and cattle). In the MY 2014/15 season exports are expected on the level of 17.5 MMT that is 12.5 percent below the previous MY 2013/14 when Ukraine experienced record volumes of corn production. Even though world market price for feed corn is continuing to decline, Ukrainian producers are expected to sell around 18 MMT the crop in MY 2015/16 order to return the investment and secure the funds for next season plating campaign. The Ukraine domestic corn price dropped significantly at the start of the harvest in fall 2014 and over the year was fluctuating around 150 USD/t level in reaction to the general economic situation in the country. Some producers indicate they want to hold the stocks for export while domestic prices adjust to better reflect the world market prices and the currency exchange rate in Ukraine. Others are willing to sell anyway since they need cash for the ongoing spring planting campaign. So, some stocks are still available for export and the trade is willing to conduct sales. In MY 2013/14 as well as in MY 2014/15 Spain, South Korea, China (since signing the intergovernmental agreement between Ukraine and China in 2013), Egypt and Netherlands were the top corn destinations for Ukraine. The EU countries in general bought almost half of Ukrainian feed corn in MY 2013/14 and we expect that they would remain popular export designation also in MY2014/15. According to official trade statistics, during the first three months of the current marketing year (October 2014 – February 2015), the top Ukrainian corn export destinations were Egypt, Netherlands, Spain, South Korea and China. Good corn harvests in fall of 2013 and 2014 resulted in larger accumulated stocks at the start of the season. However, due to decreased corn prices on the international markets translated into the slower pace of exports in MY2014/15 as well as lower rates of stocks draining compared to the previous year. In MY 2014/15 rye production in Ukraine declined once again, by about 25 percent compared to the previous year and roughly the same decrease in volumes of production is expected for MY 2015/16 as production area for summer harvest 2015 is projected to drop by next 26 percent compared to the previous summer. Rye is one of the minor cereal grains that Ukraine produces to cater to the traditional diet preferences of domestic consumers. Bread made with rye or a mixture of rye and wheat flours is a staple food in the country. The project level of rye production is sufficient enough to satisfy domestic demand. Consumption of rye in MY 2015/16 is expected to decline further because of lower consumption for bread-making following the general decreasing population trend as well as choice of breads by consumers. Exports of rye in MY 2014/15 are expected to comprise only half of the volumes for the previous season. In MY 2015/16 export quantity would also decline due to a forecast decrease in production and thus lower available surplus. In the first six months of the MY 2014/15, the major buyer or Ukrainian rye was Lithuania. However, over the last several years there was no list of constant buyers for this product with sales being occasional small loads shopped to countries in the EU and some in the Middle East. This pattern is expected to continue. In MY 2014/15 Ukraine managed to reduce its stocks of rye mainly due to the active exports in MY 2013/14 when farmers were actively selling their crop due to significant fluctuation of exchange rates as well as lower volumes of production in the current season as rye is not as other grains. Over the last few season Ukraine's policy in agriculture has seen quite a few changes. Firstly, no official trade restrictions were observed in the market. The Memorandum of Understanding between the GOU and the industry on trade balances continues to be signed every season. This has positively affected the trade in general and allowed producers to hold and sell stocks easily though the year. 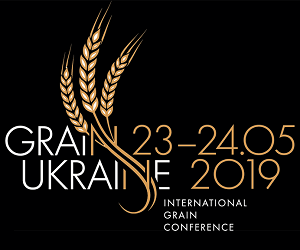 However, some technical difficulties with grain logistics and certification in Ukraine resulted in increased transportation and related. costs, thus reducing producer margins. Value Added Tax (VAT) reimbursement on exports of grain is another point of interest that has been on the agenda for the industry in Ukraine for quite some time now and lost its edge since all grain exports become VAT-exempt at the end of year 2014. Currently the Ukrainian Parliament is considering the legislative initiatives on rearranging the mechanisms of VAT administration for grain exports as well as liberalization of phytosanitary procedures. FAS-Kyiv will monitor and report on these developments. Over the 12 months in MY 2013/14 (July 2013 – June 2014) there were about 34.7 MMT of grains and oilseeds and products shipped from Ukrainian ports in the Black Sea and Azov Sea with grains alone totaling 26.6 MMT. The major share of all grain exports was executed through the port of Mykolayiv, about 31 percent or 8.2 MMT followed by the port of Odessa (22 percent) and ports Yuzhny (19 percent) and Ilyichivsk (17 percent). The Port Sevastopol is located on the Crimean peninsula in the Black Sea and usually carried out a smaller share of grain exports as the transportation of cargo from the mainland to the peninsula is not as easy and convenient as it is with the other major agricultural commodity carrying ports in Ukraine. The ports of Mariupol and Berdyansk are located in the Azov Sea and accept only smaller size grain and oilseed carrying vessels (up to 5,000 MT) due to the sea floor depth natural limitations. Their share of exports is expected to remain low. In MY 2014/15, between July 2014 and February 2015, Ukrainian ports shipped over 28.8 MMT of grains and oilseeds and products, including 23.1 MMT of grains shipped since July 2014. So far in the current marketing year and once again the leader in shipment of grains is the port of Mykolayiv with a 28 percent share, closely followed by Odessa and Yuzhny (both 23 percent) leaving Ilyichivsk (17 percent) behind for now. It is expected that the grain and oilseed transshipment capacity of the major ports in the Black Sea would be further increasing in the future while Ukraine is enhancing agricultural production and improving its grain logistics infrastructure.